FAQ - Can Employers Reimburse Employees' Individual Health Insurance in 2014? Today, less than 50 percent of small businesses offer employees health insurance, largely because of the cost. That's over 2.3 million small businesses that don't offer health insurance. Under Obamacare, small business health insurance requirements don't require businesses with fewer than 50 employees to offer health insurance. But most want to. And, there are new advantages of individual health insurance such as the premium tax credits and guaranteed-issue coverage. All of these factors leave many small business owners asking "Can I just reimburse employees' individual health insurance in 2014?" Note: Beginning in January 2017, small businesses can offer a qualified small employer health reimbursement arrangement (QSEHRA), or small business HRA, in addition to Section 105 plans discussed in this blog. PeopleKeep now supports the QSEHRA rather than these plans. 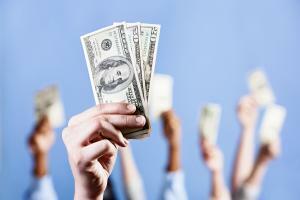 Can Employers Reimburse Employees' Individual Health Insurance in 2014? The answer is yes - employers can compliantly reimburse employees for their individual health insurance in 2014 - if a Section 105 plan is formally set up and administered. Here's the how and the why. Under current code and regulations, employers are allowed to use a limited-purpose Section 105 medical reimbursement plan to reimburse employees for individual health insurance premiums, similar to the way employers contribute to group premiums. Section 105 of the IRS code allows an employer to reimburse employees, and their dependents, for out-of-pocket health insurance costs. IRC Section 105 (see 26 USC Section 105) details out that qualified distributions from accident and health plans can be excluded from income. Section 105 allows reimbursements if it is for expenses incurred for medical care as defined in Section 213(d). Employers use Section 105 plans because there are specific HIPAA and ERISA regulations governing the distribution of individual health insurance policies at the workplace - basically restricting employer involvement with the sale or administration of employees' individual health insurance policies. Some employers are tempted to pay directly for an employee's individual health insurance plans without utilizing an ERISA and HIPAA-compliant Section 105 plan, but doing so may put the business out of compliance with federal regulations and may increase the business's (and employee's) tax liability. So What About New Regulations in 2014? In 2014 new Affordable Care Act (aka Obamacare) regulations and requirements impact Section 105 plans. Specifically, starting January 1, 2014, all Section 105 medical reimbursement plans must be designed to comply with PHS Act 2711 (annual limit requirements) and 2713 (preventative care requirements). These types of limited-purpose Section 105 medical reimbursement plans are sometimes called Healthcare Reimbursement Plans, or HRPs. Do you have questions about reimbursing employees' individual health insurance in 2014? Leave a comment below.